Dinosaur-riding cowboys, undead footballers, and demonic dungeons. Come check out this week’s batch of Kickstarter highlights! Printable Scenery is back with a new batch of printable terrain for your RPGs and wargames. 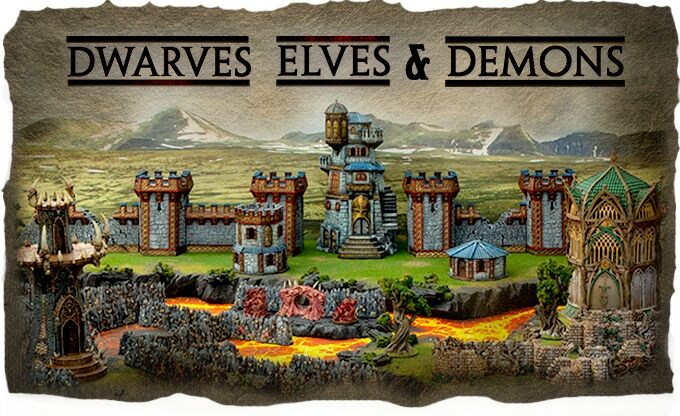 As the name of the campaign implies, this time around its three sets of themed terrain for Dwarves, Elves, and Demons. Each set consists of several large pieces, like towers or other buildings, as well as walls that are compatible with the OpenLOCK system. You can get STL files for everything for $114. Tomb Guardians is a range of 28mm fantasy miniatures that come in your choice of resin or metal. 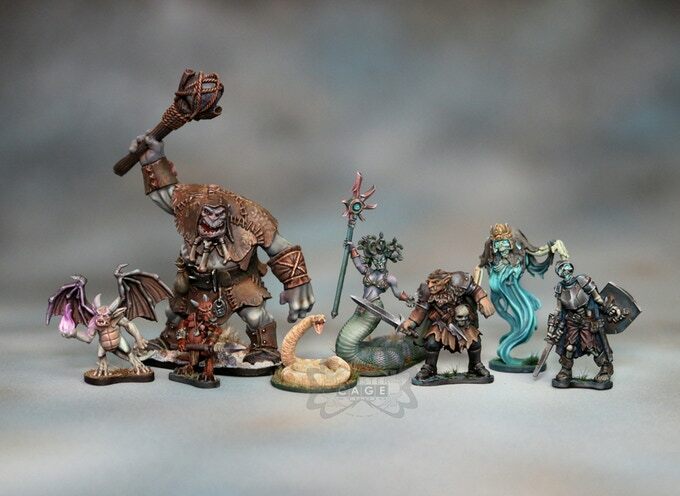 There’s 33 miniatures in total, ranging from dwarven adventurers, to malevolent spirits, skeletons, kobolds, and other dungeon-dwelling creatures. Pledges start at $6 for a single miniature of your choice, and some of the higher tiers also include 3D dungeon tiles. 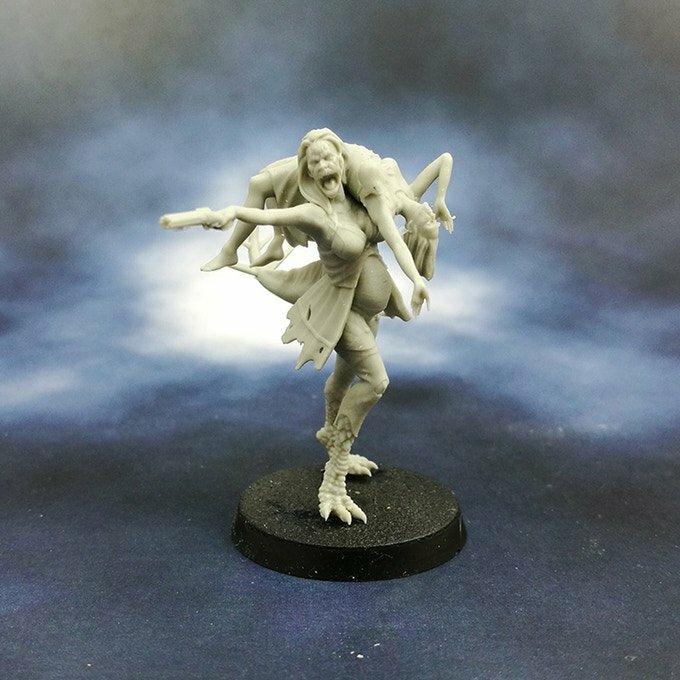 TTCombat is currently funding an army of 28mm resin Halflings, both living and undead. The campaign includes basic units like swordsmen, archers, two types of cavalry, and artillery, as well as lords, treemen, wizards, and other heroes. The undead side consists of a Halfling necromancer and hordes of Halfling zombies and ghouls. 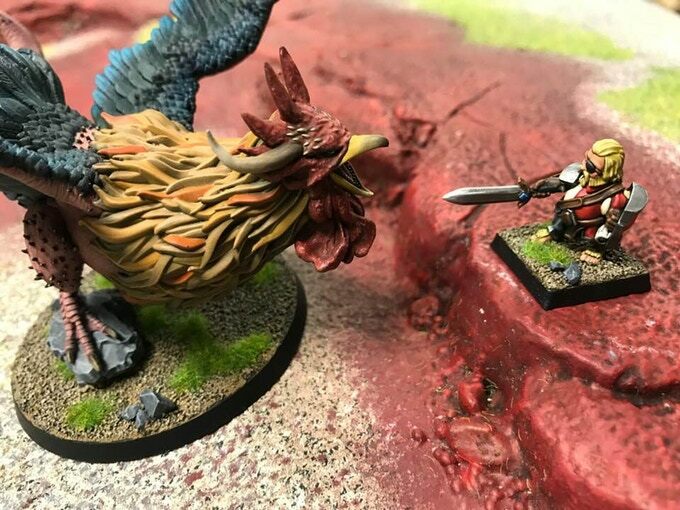 There’s also a cockatrice in the campaign. You can get a pretty sizable battalion for $128. FossilPunk is trying to fund their game of dinosaurs, cowboys, and big game hunters again, and this time they’ve reduced the miniatures scale down to the more commonplace 32mm. Sauriana is a skirmish game in an alternate 19th century where mad science has resulted in dinosaurs roaming the earth once again. The game will launch with 4 factions: The Cope Collective (scientists and engineers that use fossil-power automatons), The Othniellians (mad scientists that use super serums and dinosaur-human genetic hybrids), The Explorer’s Club (big game hunters with their tribal allies and tamed prehistoric creatures), and The World’s Fair (the mercenaries and rogues of the world). A 5th faction, The Cult of Thunder, will be added if the relevant stretch goal is met. You can get two starter boxes, the rulebook, and all the cards and tokens you need to play for $80. Finally, we have a new undead fantasy football team looking for funding. 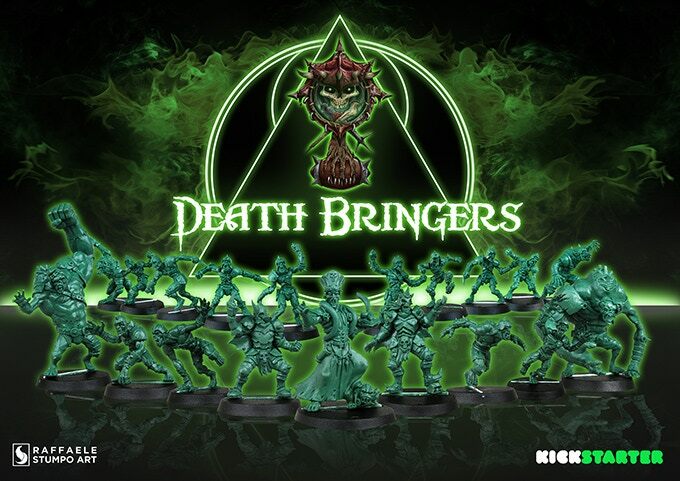 The Death Bringers come in your choice of metal or resin, and consist of all the usual undead baddies, like skeletons, ghouls, flesh golems, and werewolves. You can get a basic team of 16 models for $85, but there are plenty of add-ons like star players available for big spenders.